Museum Voorlinden is surrounded by nature. Forests, dunes, meadows, water and landscaped gardens characterize the landscape. 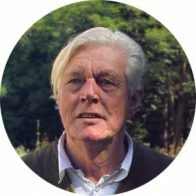 Piet Oudolf (1944) is a Dutch landscape architect. His gardens and parks are internationally renowned. He lives and works in the village of Hummelo, The Netherlands.